James Chadwick, left, was killed in an Aberdeen flat. 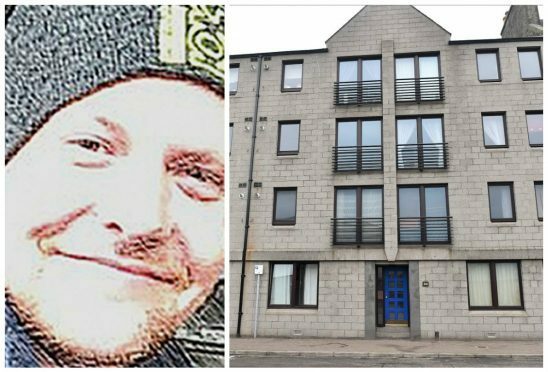 Two friends, accused of murdering a man found dead in his Aberdeen flat, “demonstrated a complete disregard” for his safety, a jury has been told. Ryan Gibb, 32, and Cameron Laurie, 33, deny killing James Chadwick on the night of August 31 into September 1 2015 at an address in Holland Street, Aberdeen. Yesterday, at the High Court in Aberdeen, the prosecution and defence counsels made their closing statements to the jury. Advocate depute James Keegan QC said: “Drunkenness, ladies and gentlemen, is not an excuse. “In short, they acted in such a way as to demonstrate a complete disregard for Mr Chadwick’s safety. Brian McConnachie QC, representing Laurie, said: “It’s rare perhaps that a case against a man depends so much on the evidence of one individual and it’s rarer still that the individual is the co-accused. “Because the crown, to a very, very significant degree, depend on things that Ryan Gibb has said to people to present a case against Cameron Laurie. Gibb and Laurie are alleged to have murdered Mr Chadwick, at his Holland Street flat, by striking him on the face, punching him, repeatedly striking him with a dog lead or similar and kicking and stamping on Mr Chadwick’s head and body. They are further accused of attempting to defeat the ends of justice.